I have highlighted How To Write A Perfect Optimized Blog Post in my last blog post. It was all about how to make your blog post more user and search engine friendly so as to leverage search engine optimization. And today I am going to feature 15 blogging tips to make you a better blogger. Whether you are a beginner or a professional would not matter, these tips will supercharge your next blog post. Guaranteed! Always focus on quality and not quantity. Don't write a blog post every single day just because you think you want to publish one. Write only when you’ve got something to share with others. Increasing your blog post counts may increase your traffic, your revenue, and your backlinks but if they’re of low quality then it’s going to hurt your credibility. For example, nowadays both Mashable and TechCrunch are “making” news rather than “reporting” them. I’ve already mentioned in my How To Write A Perfect Optimized Blog Post about how to use sub-headings and bullet points in your blog posts to make it more user friendly. The idea is to make your blog posts more scannable because people don’t read your blog posts word by word they scan it. So use lists (numbered lists or bullet points), sub-headings, block quotes, and format the paragraphs by effectively utilizing text formatting like – bold, italics, underline, strikethroughs, or even colors. If you’re getting steady traffic then you can monetize it anytime. There’s a way to monetize your blog no matter what your blogging niche is. You can sell advertising, try affiliate programs and etc. when you’re ready. But if you check my blog then you’ll see that I don’t have any blogging schedule and I’m not consistent at all. Since I treat my blog as a personal journal I write when I’ve got something to share about things that I’m passionate about. It could be tech, marketing, or even mashups. And that exactly is the reason why I don’t accept any guest posts or press releases. As you may already know Google has incorporated site speed as a ranking signal in their algorithms. So if your blog takes more than say 3 seconds to load (Tip: You can use the tools listed here to check the speed & performance of your blog) then you should improve your site speed to improve your rankings on search engines. Feel free to split up your blog post if it’s too lengthy to improve the user experience. But it doesn’t mean that you should split it if it’s over say 2,000 or 3,000 words. You can split up the article if you’ve covered two different topics in it. For example, this blog post was actually part of my previous blog post “How To Write A Perfect Optimized Blog Post” but when I started I got a feeling that it’s worth to write as another article. So I split the content and made it two posts: one focusing optimization and the other one on tips. There are additional benefits if you split posts like it helps to reduce the bounce rate of your blog, will increase page views, and more page views means more advertising revenue. 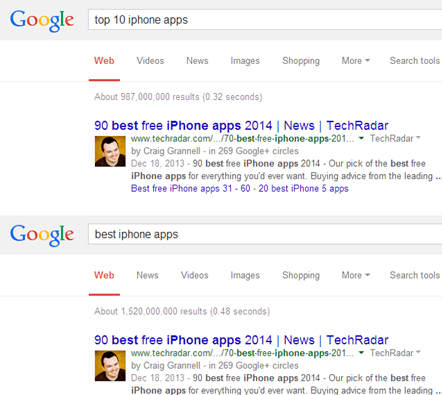 Optionally you can indicate paginated content to make it more search engine friendly. You must update your blog posts (especially your evergreen content) whenever you can. It not only keeps your blog posts fresh and up-to-date but will also improve your search engine ranking. For example, whenever I come across good WordPress Plugins, or Apps, or Internet Tools, etc. I add them to Evernote so that when I have collected enough new information related to a blog post I update that post. Read how to write a blog post every single day by Ginny Soskey of HubSpot. She’s a staff writer at HubSpot and has listed 11 tips to write a blog post every single day. There are some cool ideas in that blog post but my favorites are “Skip to Easier Stuff” and “Organize Your Bookmark Bar With Resources You Use Every Day” as I follow that. I add the links required for the next blog post to Google Chrome’s Bookmarks Bar and it will be my starting point.